Australians have helped Qantas raise more than $114,000 for the Western Queensland Drought Appeal, funding the coordination and distribution of much needed drought relief across the Longreach region. Qantas operated a one-off charity flight from Sydney to the Qantas Founders Museum in Longreach, using its ‘Retro Roo’ aircraft in 70s livery. 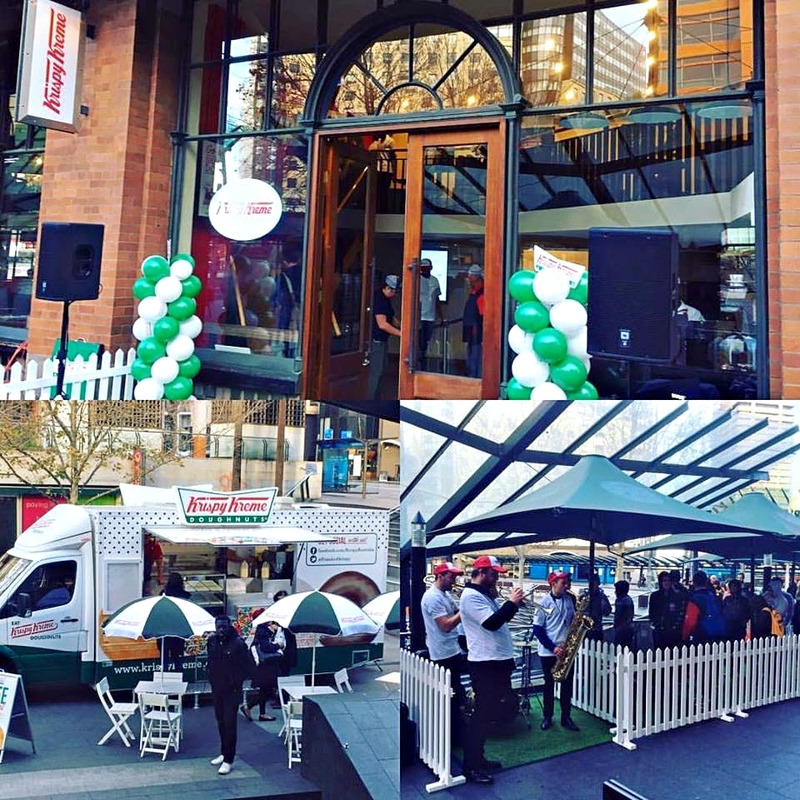 The initiative comes in the lead up to Qantas’ 95th birthday next month and was aimed at supporting the community that gave wings to Qantas almost a century ago. 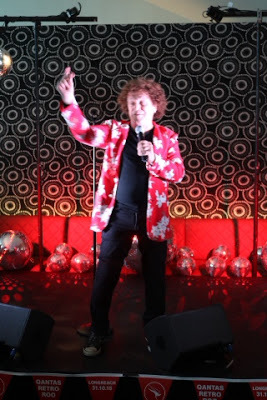 Leo Sayer provided the pre-flight entertainment in the Qantas Business Lounge. Former ASP world surfing champs Martin “Pottz” Potter and Tom Carroll helped raise $44,000 for SurfAid. 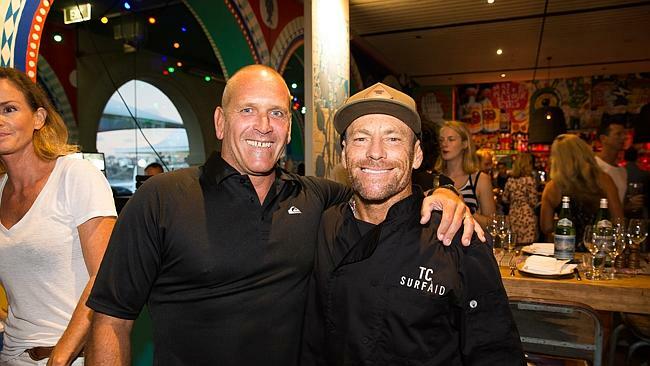 FORMER ASP world surfing champs Martin “Pottz” Potter and Tom Carroll teamed up with Australia’s top chefs for the first Sydney Surfing Chefs for SurfAid cocktail party and raised $44,000 for the charity. More than 300 guests descended on The Bucket List in Bondi and enjoyed a night of excellent food and fine wine. Guests included surfing and sporting elite, Martin Potter, Tom Carroll and Torah Bright, Andrew Judge and Dr Dave Jenkins founder of SurfAid. “We’ve been talking to SurfAid about an event here for a couple of years and all the stars aligned,” said organiser, The Bucket List’s Tom Walton. 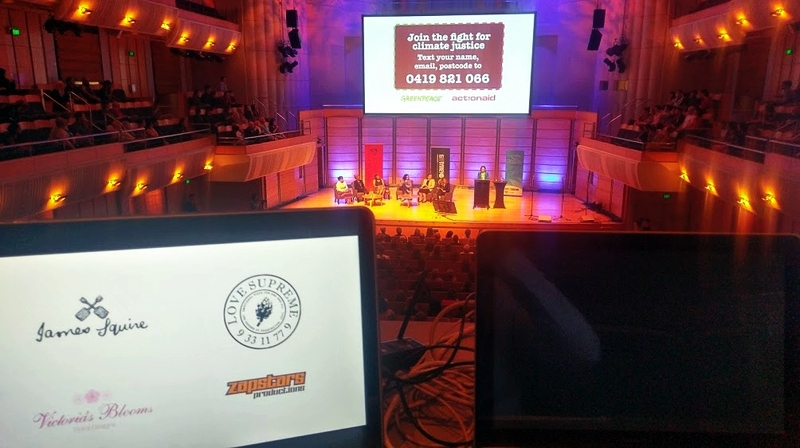 The surfing chefs are coming from as far as Perth for the event which will raise funds for the humanitarian aid organisation. Chefs lined up to help former ASP world surfing champions Martin “Pottz” Potter and Tom Carroll help raise $44,000 for SurfAid. Along with Guy Turland from Bondi Harvest will be Russell Blaikie of Must Wine Bar Perth and Tony Howell, Aravina Estate, Margaret River, Ben O’Donoghue from Billy Kart in Brisbane, along with locals Ian Oakes from Drake, Monty Koludrovic Icebergs, Peter Doyle from est., Simon Zalloua from Sefa Kitchen, Zac Pauling The Corner House and Craig Ferrier from Cranky Fins, Palm Beach. 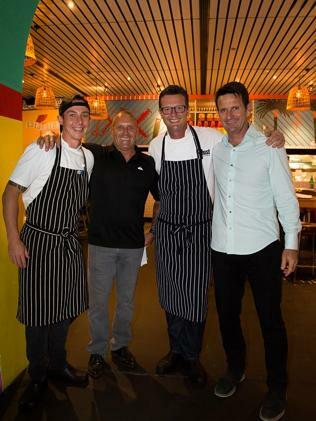 Former pro surfer and Bondi Rescue star Rod “Kerrbox” Kerr swapped his wetsuit for a chef’s jacket.